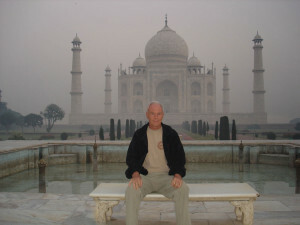 Gerald Fuller in front of the Taj Mahal on a foggy, spring morning. Gerald Fuller, CTC, is a travel expert. He has presented more than 100 travel-related workshops and seminars for travel organizations and travel agencies including the American Society of Travel Agents (ASTA), Institute of Certified Travel Agents (ICTA), Pacific Association of Travel Agents (PATA), the American Automobile Association (AAA) and Carlson Travel Network. 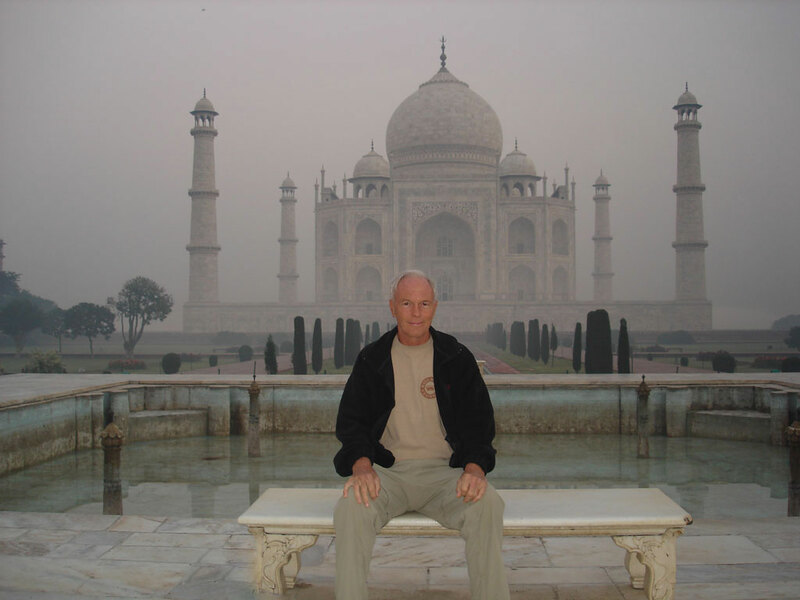 He has been extensively traveling the world for more than 50 years and has been around the world 13 times and visited nearly every country in the world. He has been on more than 85 cruises and water travel vessels and stayed in hundreds of hotels ranging from yurts and hostels to 5-star luxury and boutique properties. He entered the travel industry 42 years ago and has held numerous positions including being a travel agent specializing in cruises and international, adventure, and exotic Fully Independent Travel (F.I.T.) and escorted tours and has escorted more than 100 tours world-wide. He served on the Curriculum and Advisory Boards of and taught at Houston (Texas) Community College, Austin (Texas) Community College, and taught travel and tourism classes for 18 years at The University of Utah in Salt Lake City, Utah. He received a BS in Advertising and Public Relations with minors in Business Management and French from Brigham Young University, Provo, UT. He has authored Travel Agency Management and Destination Geography Volumes I and II and co-authored several others. He is co-host of Travel Advice Show (traveladviceshow.com), a pod-cast, on-line audio extension of Travel Advice, and founder and president of Travel Advice (traveladvice.com), which has helped individual travelers have more successful vacations for more than 40 years.